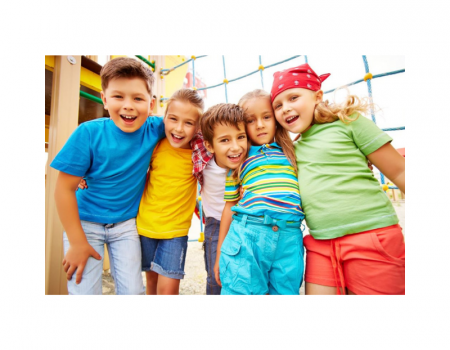 Since the early 1900s, International Women’s Day has been used to help forward the movement for women’s rights. Over a century later, countries across the world are still coming together on the same day each year to celebrate women. 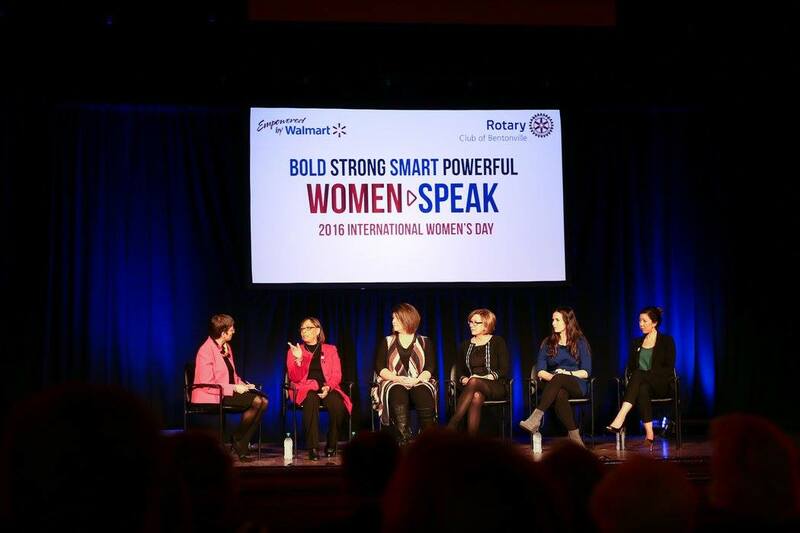 Wednesday, March 9, the Rotary Club of Bentonville hosted its second year celebrating women’s leadership in the workplace at the International Women’s Day event, presented by Walmart Women’s Economic Empowerment Initiative. 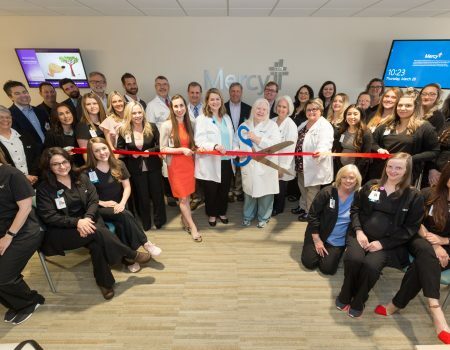 The event, held a day after International Women’s Day, featured a panel of five female executives telling their inspirational stories of perseverance. 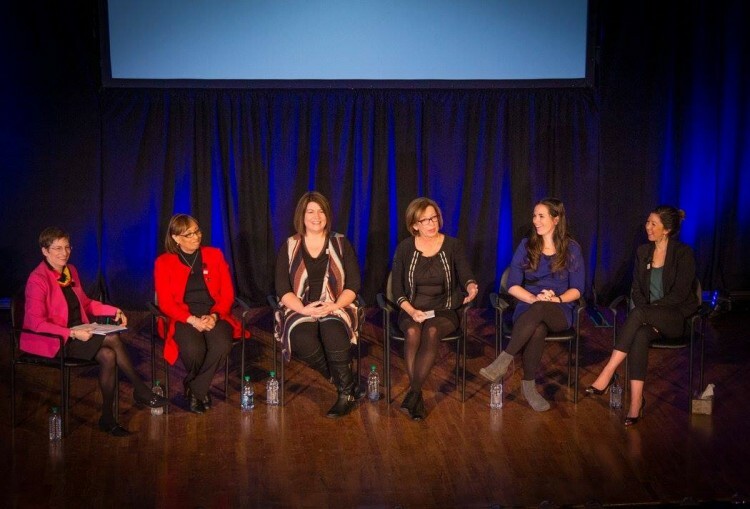 Beth Keck with panelists Kathy Waller, Angie Warnock, Karen Stuckey, Sarah Moshman and Dana Cook. 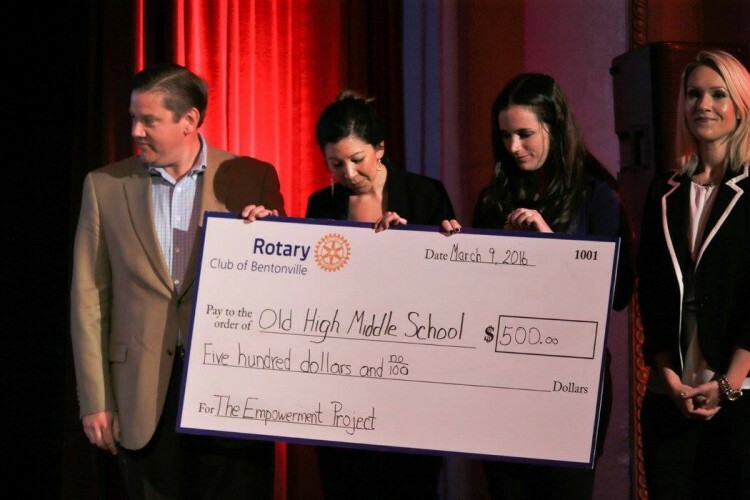 The morning of women empowerment came to a close with the Rotary Club of Bentonville presenting a $500 donation to Old High Middle School to fund a viewing of The Empowerment Project, a film directed and produced by Sarah Moshman & Dana Cook, two of the featured panelists.